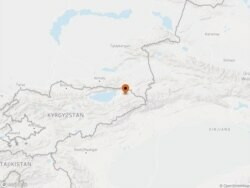 A Belgian woman has been killed by an avalanche in Kyrgyzstan's northern Issyk-Kul region, local authorities said on February 20. According to the authorities, 34-year-old Klartje Cuyckens died near Boz-Uchuk Gorge on February 19. The woman was killed by the avalanche while skiing down a slope with her brother. They had arrived in the regional capital, Karakol, on February 16 as tourists and traveled to mountains, where they set up a tent campHer body was recovered and is currently in a local morgue, local police said. Avalanches in the mountainous area of Kyrgyzstan occur very often in late winter and in the spring.